For many people, their understanding of death care is often limited to personal experiences. Thanks to a local funeral home, this is not the case for one Bordentown middle-school class. An innovative social studies teacher, Tom Ridolfi, decided to bring a multi-dimensional approach to the classroom when teaching his sixth-graders about death-care practices in ancient Egypt. 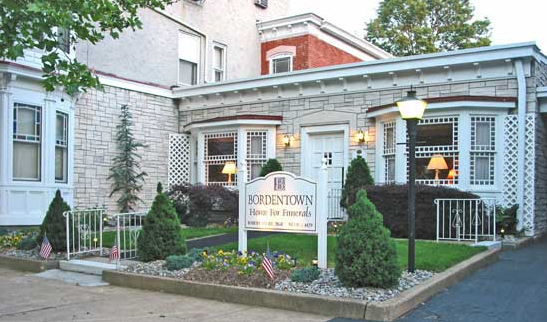 Bordentown Home for Funerals – along with other entities including a Penn State Professor – responded enthusiastically to the call. At first, the funeral director, Robert Pecht, was asked only to sponsor a portion of the online training program for $2000.00. He did that and more, offering to speak to the class directly about the history of death care and how it has developed over time. He even enlightened the students on funeral practices they were more familiar with, such as why there is typically a visitation before the funeral ceremony. “Doctors were not experts in pronouncing people dead, and there was a big fear of being buried alive,” adding that coffins and caskets were built with certain failsafe mechanisms to ensure people were really dead before burial. It is easy to think the process of embalming is an age-old tradition, however, because of Pecht’s teachings, the sixth graders at Bordentown Regional Middle School, now know the practice only became solidified when Thomas Holmes, the father of American Embalming, had to ensure Abraham Lincoln remained viewable to the public for 40 days, while his body traveled by train to Illinois. This act of service in taking time to talk to local students about his profession and illuminating practices surrounding death is not an anomaly for Pecht. His career started out in serving his country in the Navy. Unlike most of his peers he did not come from a long line of funeral directors, but rather a line of bakers from Newark and Irvington as well as construction workers and longshoremen from Brooklyn. He made his way into the funeral industry under the guidance of a client at an answering service he was employed at. Many of his clients were funeral directors and one of the managers of a funeral home needed assistance. Shortly after starting his role there, his grandmother died. He picked up her body from the home and prepared it for a 4-day Italian funeral. Comforting his family, especially his mother, through this process felt like his calling to death care service. In 2004, after receiving an education at American Academy of Mortuary Science in New York, he and his wife bought a funeral home from the Hartmanns who had owned the funeral home since 1932. Their picture still hangs in the lobby as a tribute to their dedication. A lounge, dining room and a children’s activity area are just a few comforting amenities embodying Pecht’s commitment to serving his community and the people who walk through his doors. This entry was posted in Community Building, The Good Funeral on May 11th, 2018 by ObitTree .